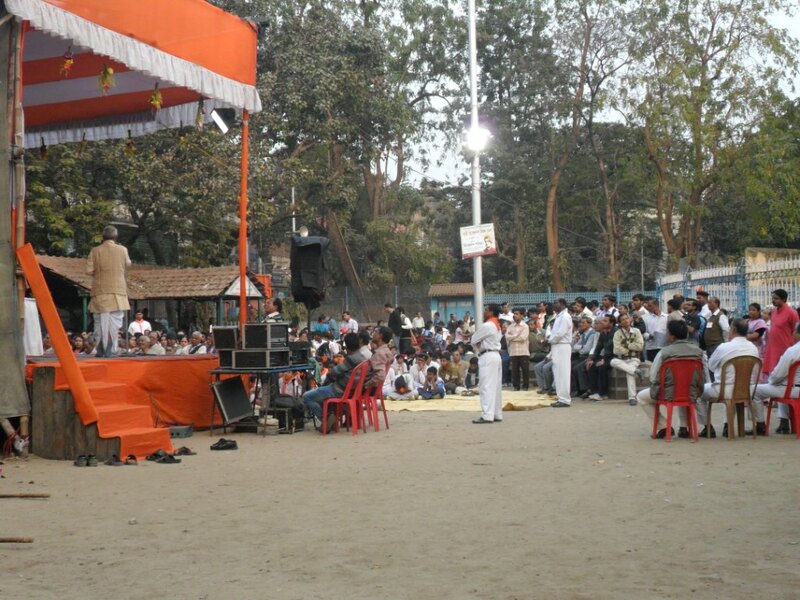 The Annual Rally is organized to Celebrate the Birthday of Swami Vivekananda. Usually, the Rally is organized on the next Sunday after Swamiji’s Birthday 12th January. Various colorful processions originat- ing at 1 P.M. from Raja Subodh Mullick Square, Maharaja Cossimbazar Polytechnic School (Baghbazar), Beleghata Deshbandhu High School and the Howrah Station assemble at the Hedua Park near Swamiji’s Birth place where a public meeting is held at 4 P.M. Senior members of Mahamandal, Sarada Nari San- gathan and monks of Ramakrishna Mission deliver lectures in the meeting.